If you missed last month’s Black Moon, you’ll want to keep an eye out this weekend as the rare Hunter’s Supermoon appears in the night sky. October’s full moon, also referred to as the Blood Moon or the Travel Moon, will rise on Saturday around 7 p.m. EDT and peak on Sunday night at 12:23 a.m. EDT, giving stargazers around the world quite the treat. 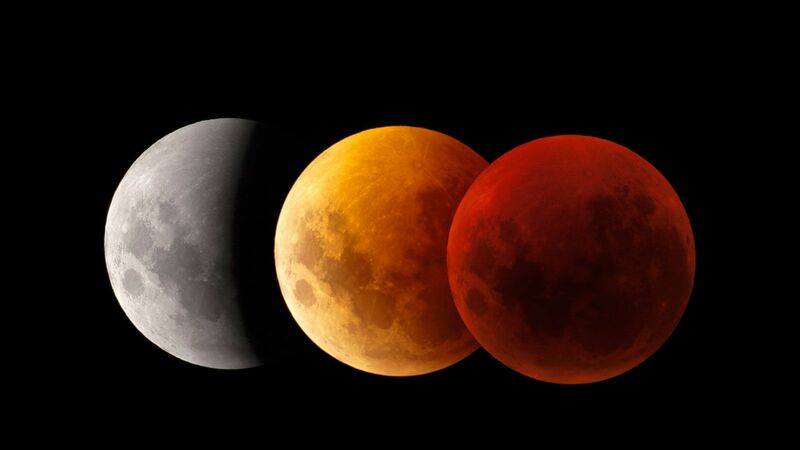 When the moon first becomes visible it will appear a cool grey, only to transform into its celebrated deep red color at its peak. The moon gets its name from hunters who used this time of year to find and kill their prey by moonlight and stock up for the winter ahead. What makes this full moon stand out from the rest? It’s a total lunar eclipse. During the eclipse—when the earth, sun and moon align—the moon will fall into the earth’s shadow, giving it the dark rusty hue. Aside from those in Australia, the moon is visible to all. And, even if you’re not lucky enough to live in one of the world's best spots for stargazing, you can still witness the event across the globe. Can’t get outside to check it out? Don’t worry; you can watch it via webcast on Slooh.com.